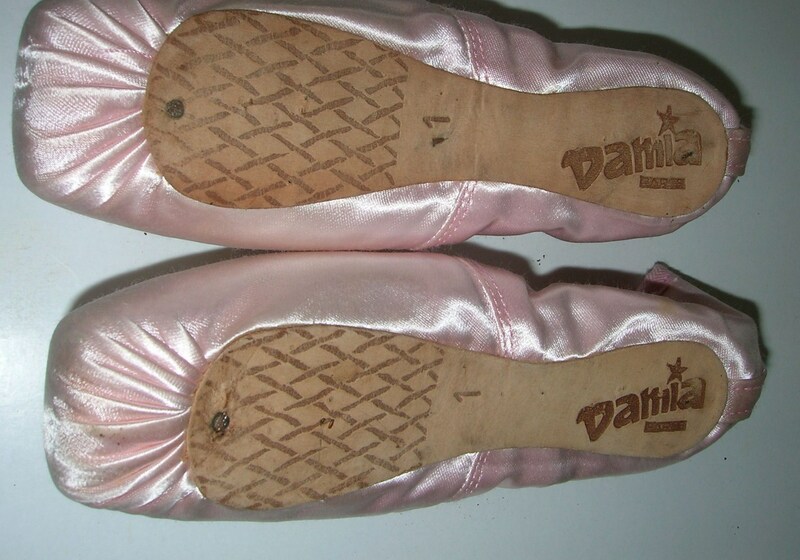 The pretty photos to the left and below show a pair of pointe shoes with the brand name Damia. These particular shoes are being offered for sale on a French language merchant site, something like an American version of Nextag. When the name Damia as a pointe shoe brand first came to my attention last year, it was being mentioned on a French dance blog. There are some references to the name Damia of Paris in many French articles about dance and dance supplies. Unfortunately, that’s about it. As of this post, the actual company and website address of Damia of Paris is unknown. It is also hard to say whether Damia is actually a French brand or if the company originates somewhere else, but has distributors throughout Europe. If you are like me, the sheer number of pointe shoe brands that could be out there in the world is mind-boggling. Until I find out more about the Damia brand, it will be another puzzle to solve on my list of beautiful, pink satin mystere chaussures de pointe. This entry was posted in Mystery Pointe Shoe Brands and tagged Damia of Paris, Damia pointe shoe images, Damia pointe shoes, French pointe shoes. Bookmark the permalink. I must say that I am really impressed by your blog and I really love every single post! After I read your post about vozrozhdenie pointe shoes, I decided to visit their shop at St.Petersburg while I was visiting my friend there. To be honest, I was quite dissapointed. I actually contacted them before I go there and ask about their pointe shoes and they said to me that they were selling ready made ones as well as custom ones. And the price was sth around 27 USD. The other day I visited their store, the sales lady was quite rude, when she was answering my questions. I asked about the pointe shoes she said the ones you see is the only ones we have(which were gaynor) I asked for the size just to know, she said no we don’t have it. That’s fine that I can understand that but the way she replied to me was quite annoying. And I left the store. So.. I don’t think I’ll ever go to their store again, cause of lack of interest and their attitude towards a ballerina looking for vozrozhdenie pointe shoes, I still don’t get it why they told me that they had ready made pointes of their own… Maybe they didn’t understand my question… Well, so my visit to Vozrozhdenie was quite not pleasing to me but I’ll maybe try ordering some custom made pointe shoe for my self at my next visit to Russia. Thanks for informing us about the pointe shoe brands in the world! I am sorry that you had such a bad experience with service at Vozrozhdenie. I think I would have been very disappointed to seek out their brand only to be shown Gaynor Minden models by a rude fitter! 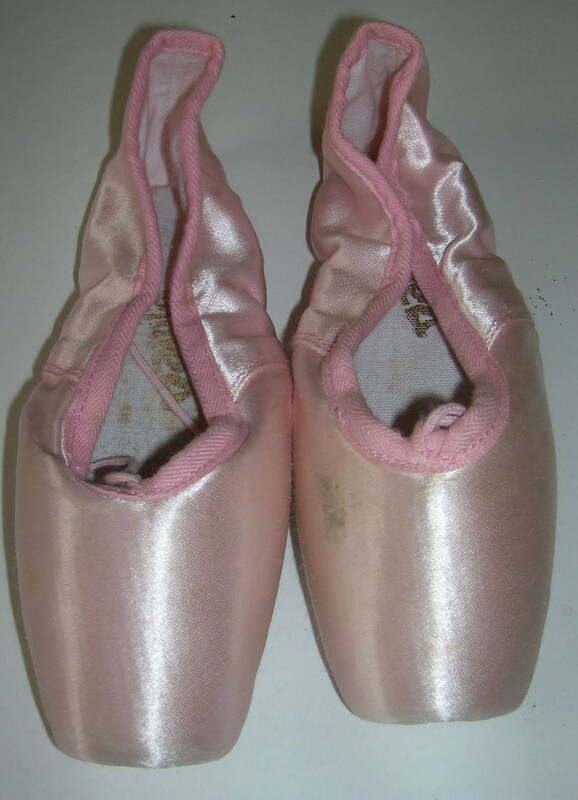 I`ve just been looking at the photos again of these Damia of Paris pointe shoes. Looked really closely,and I could be wrong,but I thought it said Danila. I`m now off to investigate. I`ll let you know if I come up with anything.Lisa.